Working with colleagues who deal with our clients’ realities both on-site and remotely has brought to my attention many lessons learned, and I must say one of the most valuable ones to this day is that planning, as exhausting (or even overrated!) it may seem, can make the difference between a project’s success or failure. Especially when your project has several impacts – good and/or bad – on communities. That’s exactly why stakeholder engagement activities must be planned. And not just Let’s scribble an approximate plan on a napkin kind of planning. More like good old let’s sit down for a while (probably several times too), assess the situation trying to think about every individual, organization, business, family, governmental institution, indigenous group, piece of land, tree, crop, animal, (you get the idea) that will be affected by the scope of this project. Ok, ok, I might be getting a little carried away here, but for some projects it does go down to that level of detail. While communities are different everywhere, there’s one thing that’s common to all: if you voluntarily keep them out of the decision process, refuse to inform them of plans, and let misinformation lurk around, it’s only a matter of time until social acceptance goes out the window. By the way, here’s an interesting interview of Ed O’Keefe sharing tips on improving community relations. Planning stakeholder engagement won’t guarantee your social license to operate, but it’ll give you a tremendous head start. Of course, you can’t plan it all. Incidents occur. And so do natural disasters. The economy can crash. But if you have a good stakeholder engagement plan, going through unplanned crisis and events will be a lot easier. So, how does one prepare a good Stakeholder Engagement Plan (SEP)? Plans are tools that help us organize activities the best we can with the knowledge we have. So really, the elements to bear in mind are structure, clarity and timeliness. Oh, and remember, SEPs are not cast in concrete! Your initial plan will help you start, but it will evolve as the project does. Our experience has proven that a good stakeholder engagement plan should be divided into 12 sections. This zone is the closest to the project site and interactions/impacts on stakeholders will be on a very frequent basis (let’s say daily). Zone 2 stakeholders deal frequently with the project (interactions/impacts). Impacts are not as significant as in Zone 1, but still important. These stakeholders’ interactions with the project are limited in time, or can also be restricted to a given phase of the project. Same applies to impacts. Interactions could occur on incidental or occasional basis with stakeholders in this zone, and impacts are either very limited or inexistent. Now remember that a first version of this map will be prepared before the engagement plan’s implementation. Like many aspects of your stakeholder engagement plan, zones will change and be readjusted as the project evolves through its lifecycle. 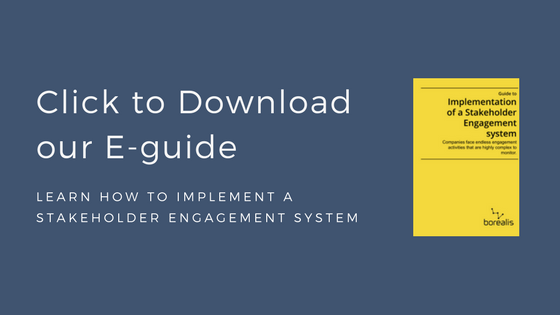 In some contexts, online engagement tools can help you better map out the current stakeholder landscape so that you can leverage this data to shape a more solid engagement strategy. The conversations in the community will take place and you want to know how people perceive your project. But what online engagement tools can’t do is help you address the issues that arise during these online stakeholder interactions. 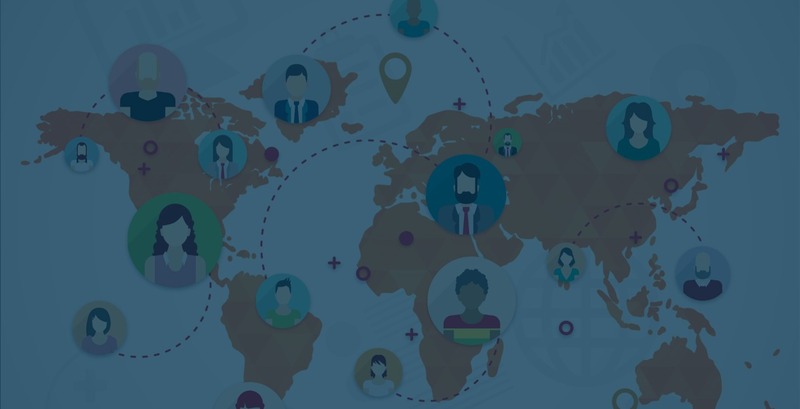 Effective engagement entails more than simply identifying stakeholders and letting them voice their concerns; it also requires taking the appropriate actions. And these actions must always be in line with the organization’s goals while also respecting key stakeholder concerns. Sooner or later, you will want to do something about the concerns raised online. You will interact personally with your key stakeholders. You will need to organize and centralize all interactions, concerns, new issues and stakeholders’ contacts in a central platform. Another important step of the methodology is the identification of issues categories. Not all stakeholders will be affected by the same impacts, and classifying them according to subject will make it a lot easier to handle the various issues. Plus, you’ll be able to identify which issues your team spends the most time working on. Categories can include: social, health and safety, environment, economic, security, and so on. Categories can also be divided into sub-categories should there be an extra level of clarification. For example, the environment category could include air quality and waste management sub-categories. 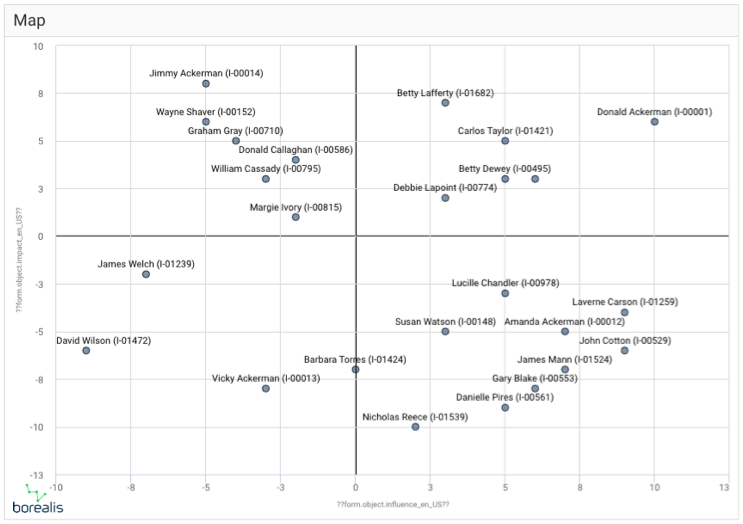 This section is an exhaustive list of every group and sub-group that you identified in the methodology. You’ll include details such as traditional and customary authorities, villages, etc. For longer lists like Project Affected People (PAP), you can add them in annex – as they will be quite long. Did somebody say stakeholder mapping? It’s one thing to identify and categorize your stakeholders, but it’s a different one to understand them. 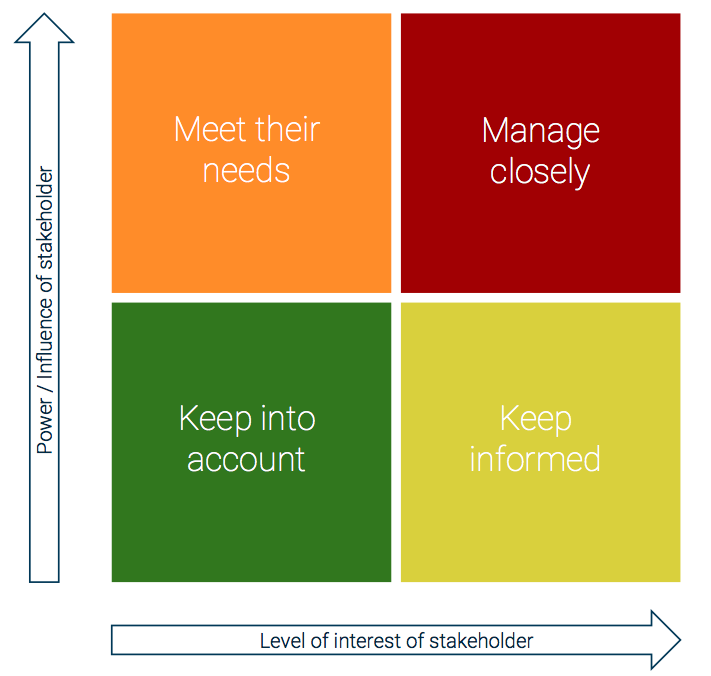 Stakeholder mapping helps you understand each stakeholder according to several parameters like influence/power capacity, network capacity and interest level. Sometimes, stakeholders with high interest have little to no influence among their pairs. Of course, you need to engage with them, but you’ll spend much more time engaging with the stakeholders who have a lot of influence and are interested in your project. Other times, you’ll try to spark the interest of stakeholders with power capacity. I know I’ve said this earlier in the article (but I can’t stress it enough), the initial mapping of stakeholder is based on what you know at the time being. It will change and evolve as you learn more and as the situation changes.